However, the legs look very similar to me and reminds me a lot of Rangoli so my best guess is the True North mold. What mold do you think the sneak peek is of? Speaking of True North, he is due for release this month, May. Premier Club members get ready for the first horse of 2017! 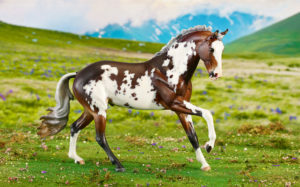 As far as I know, all of the ‘regular’ BreyerFest 2017 horses have been revealed with the exception of the surprise horse who won’t be revealed prior to the event. This sneak peek must be a prize or raffle model of some sort. Whatever it is, I’m excited to see the rest of the horse! 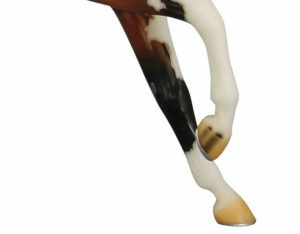 Stay tuned to see what horse this sneak peek turns out to be! Let’s kick off another week with another sneak peek! We’ll give you a couple of days to see if you can work out who this next model is. Bonus points if you can work out what the model is for!